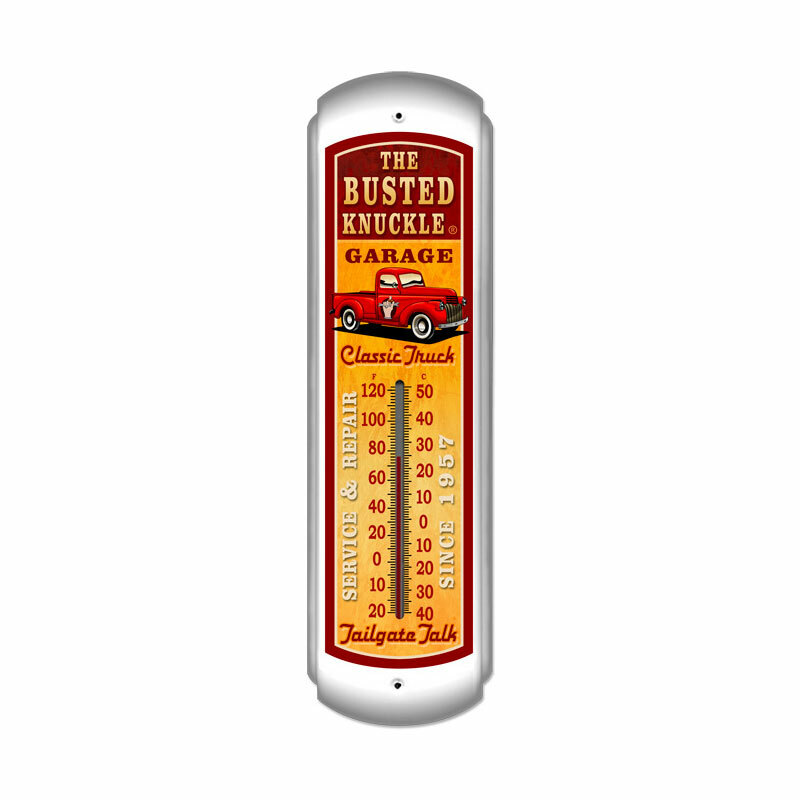 From the Busted Knuckle licensed collection, this Old Truck thermometer measures 5 inches by 17 inches and weighs in at 1 lb(s). This thermometer is hand made in the USA using heavy gauge american steel and a process known as sublimation, where the image is baked into a powder coating for a durable and long lasting finish. This thermometer is drilled and riveted for easy hanging. We hand make all of our metal signs in the USA using heavy gauge American steel, where the image is baked into a powder coating for a durable and long lasting finish.